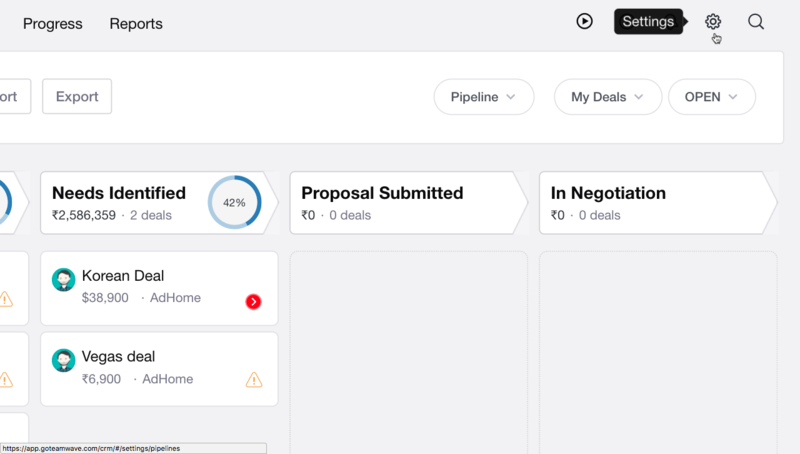 With custom fields, you can add new fields as per your requirements to deals, contacts and organisations. 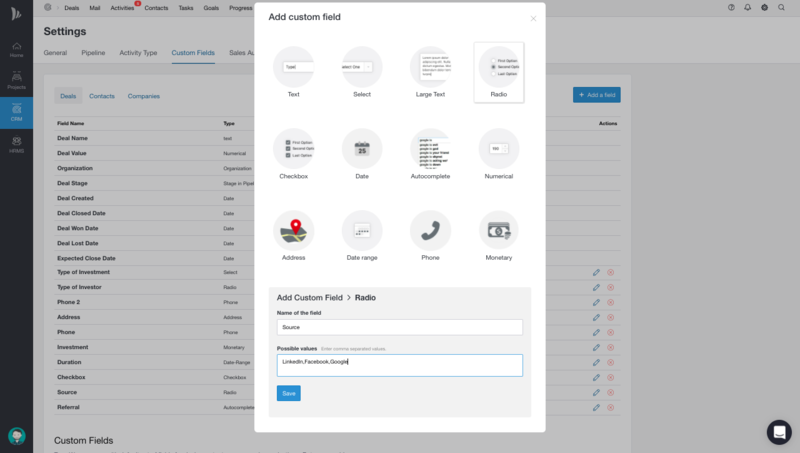 Learn more about custom fields. Account owner and CRM Admin has rights to perform above actions. 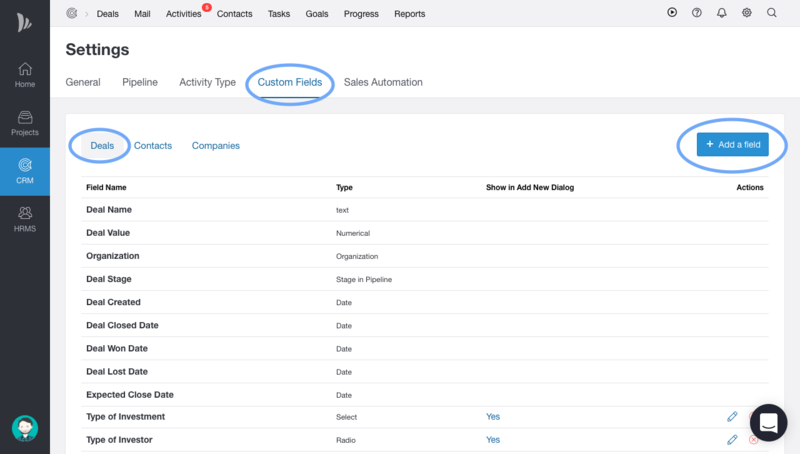 While importing, TeamWave only reads data which is defined in that custom field’s format.